Established by anonymous donors to be awarded to students of high potential for success in their careers. Those eligible must be Holmes County residents attending West Holmes pursuing the fields of teaching, engineering, science, nursing, or selected pre-med programs. In memory of Aimee, a former West Holmes High School student. Awarded to a female West Holmes graduating senior who has participated in athletics (preferably softball or volleyball). In memory of Ami, a former West Holmes High School student. Awarded to a West Holmes graduating senior or past graduate pursuing a career in nursing. 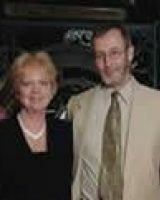 Established by Mark and Jane Baserman to assist eligible students attending classes at either Wayne College Holmes Campus in Millersburg or The University of Akron | Wayne College in Orrville. Established in 2006 by the family and friends of the late Blair Slutz to honor Blair's commitment to students and their pursuit of education. The scholarship will provide financial assistance to graduating seniors from Hiland, Waynedale or West Holmes High School with Holmes County residency that are pursuing the field of education at a higher institution. 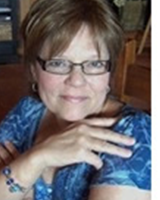 Blair's thirty year career in education included teaching, coaching, and administration. Established by Janet B. Mann to memorialize her husband Bruce and their belief in higher education. The Bruce and Janet Mann Scholarship will be awarded to Holmes County students with demonstrated financial need and who are the first child in their family to attend college. Established by Florence Maurer to memorialize her husband, Carl, and their values in education. 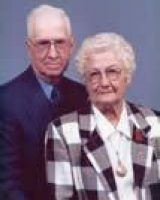 The Carl & Florence Maurer Scholarship will be awarded to West Holmes High School graduating seniors with demonstrated financial need and who are pursuing higher education. Established by the family and friends of the late Carol Hawkins Maurer to honor Carol who devoted nearly 40 years of her life to nursing. Awarded to Holmes County residents with demonstrated financial need and academic merit who are pursuing a career in the nursing field. Preference given to those students attending Ashland University, her alma mater. In honor of Richard and Virginia Cary. Applicants must be Holmes County residents. Established by the Holmes County Chamber of Commerce-Amish Country Lodging Council with proceeds from the annual Christmas Cookie Tour. Those eligible for this scholarship must be a Holmes County resident or attend a Holmes County High School. Preference will be given to those pursuing an area of study in Hospitality or a related course of study. Applicants must have a 3.0 GPA or higher and be active in community service activities.